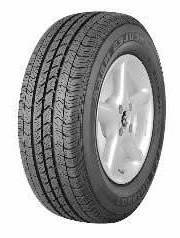 Our premium passenger tire features a long tread life, quiet ride and excellent wet/dry traction. Wide circumferential grooves resist hydroplaning. Diagonal slotted shoulder for increased handling in inclement weather driving. Enhanced handling/improved comfort. E marked.